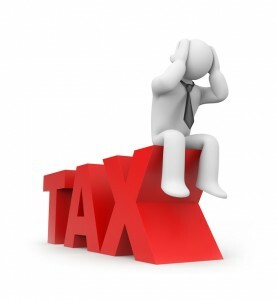 Tax Debts and Bankruptcy - Castle Rock Bankruptcy Attorney - Jon B. Clarke, P.C. U.S. bankruptcy laws have strict stipulations for when and how tax debt can be eliminated through a bankruptcy case. Along with credit card debt and medical bills, tax debt is another primary financial woe that can cause borrowers to get behind on their mortgage payments, potentially have their wages garnished and ultimately need to seek out bankruptcy in order to achieve a financial fresh start. However, while debt like credit card debt and medical bills will typically be automatically discharged when a borrower files for Chapter 7 bankruptcy (if the court approves his filing), other debt like tax debt can be trickier to get discharged, as U.S. bankruptcy laws have strict stipulations for when and how tax debt can be eliminated through a bankruptcy case. The debt is associated with a tax return that was due to the IRS at least three years before the bankruptcy case was filed. This three-year minimum requirement must include any additional time granted in cases when an extension was approved. For example, if a bankruptcy case is filed in May 2013, then the tax debt must be associated with a tax return that was due to the IRS in or before April 2010. If an extension was granted on that tax return, then the associated debt will not qualify for discharge in the bankruptcy case. A tax return must have been filed for the tax debt in question at least two years before the bankruptcy case is filed. The tax debt has to have been assessed by the IRS at least 240 days prior to the date of the bankruptcy filing. The individual petitioning for the discharge of tax debt through bankruptcy must not have committed any type of tax fraud.